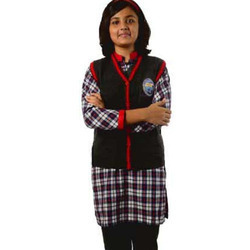 Owing to the immense manufacturing or production capability we own, we are able to fulfill the requirements of Senior Girls Winter Uniforms in bulk for our customers. This uniform has been specially designed for winter wear and has been made from a thermal fabric that lets beat the chill of the winters. It keeps the students warm and let have a comfortable experience. 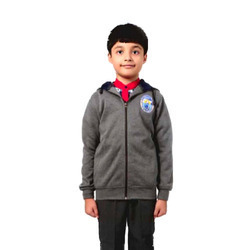 Offered to the coveted customers at comprehensive wholesale prices, we offer this high quality range of Senior Boys Winter Uniforms. The uniform range has been specially made out from the best quality fabric that has been procured from the most reliable vendors. We have incorporated compatible buttons in this uniform. Standard and perfect fitting sizes are available in this range. 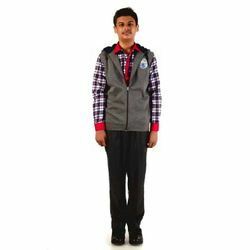 Manufactured by us for Kendriya Vidyalaya students the offered range of Junior Boys Winter Uniforms has been widely appreciated for its perfect fitting. 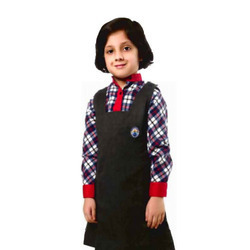 We have made use of only approved quality fabric in standard school approved colors. Customers can avail these from us in wholesale and comprehensive prices. Made in perfect fits, these Junior Girls Winter Uniforms have been in wide demand for the comfortability and easy wash. These girls uniforms have been made from high quality light weight fabric and have been given compatible buttons. We keep the standard pattern of the school code in mind while stitching these uniforms. Looking for Winter Uniforms ?